Huawei just unveiled its brand new flagship phone — the P20. It’s a solid, well-designed Android phone with a shiny design, an iPhone X-like notch and some extravagant features, such as not one, not two but three cameras on the back of the P20 Pro. I played with the phone for a few minutes yesterday, and I would consider it one of the most polished Android phones out there. It’s a good successor to the P10, a good alternative to the Samsung Galaxy S9 and a good incarnation of Android. Huawei is launching two different phones. The P20 is the most affordable version of the devices. It features a 5.8-inch LCD display with an 18.7:9 aspect ratio. In other words, the screen is more or less just like the one on the iPhone X. 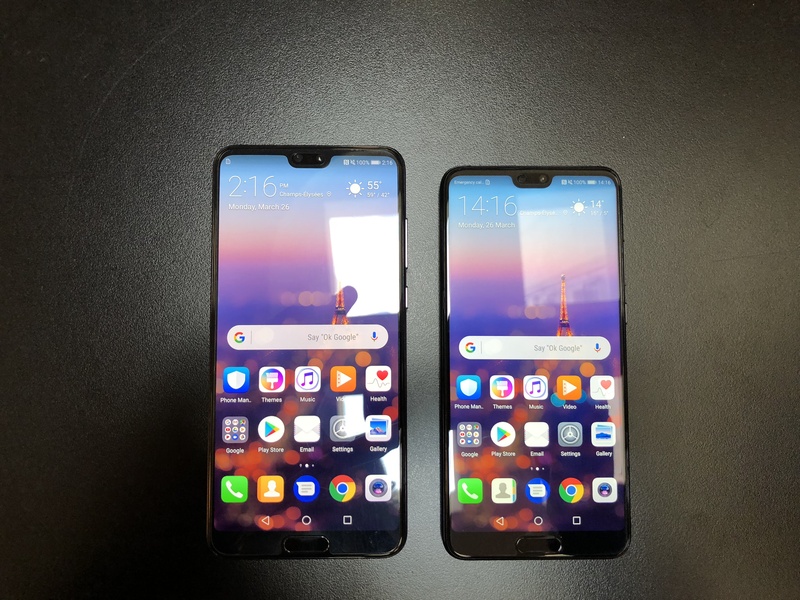 The P20 Pro is slightly larger with a 6.1-inch display. And, for the first time in a Huawei phone, it has an OLED display. This feature alone makes the P20 Pro much nicer than the P20. 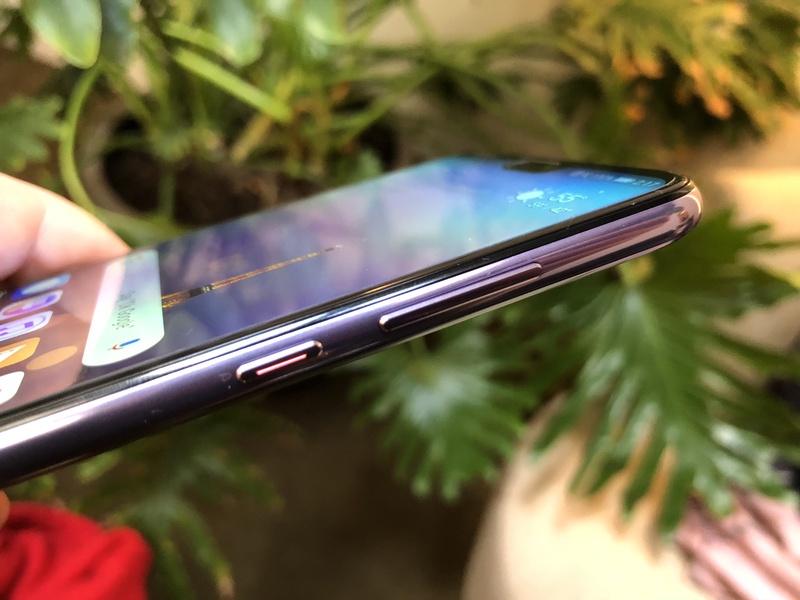 Phone manufacturers shouldn’t even try selling a phone with a notch combined with an LCD display. It just looks bad. Both phones have a glass back and an aluminum frame, just like the Samsung Galaxy S9. It doesn’t feel as heavy as the iPhone X with its stainless steel frame, but it feels nice in your hand. 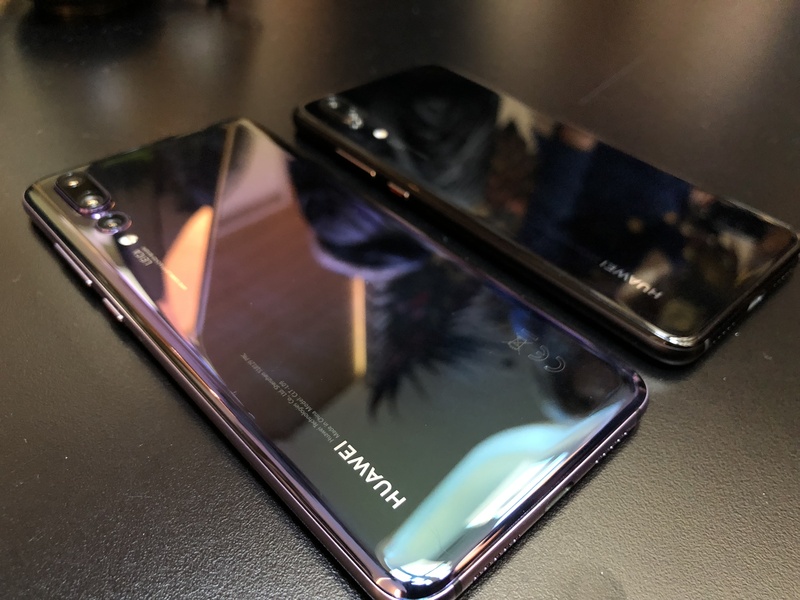 It’s a bit surprising that Huawei opted for a glass back even though the P20 and P20 Pro don’t feature wireless charging. Many manufacturers switched to glass cases to facilitate wireless charging. With those new devices, you get the fingerprints on the back of the device without any additional feature. There are five colors for the P20 and four colors for the P20 Pro. In addition to standard colors (black, midnight blue for both devices, champagne gold for the P20), Huawei has created two gradient colors that look great — twilight and pink gold. 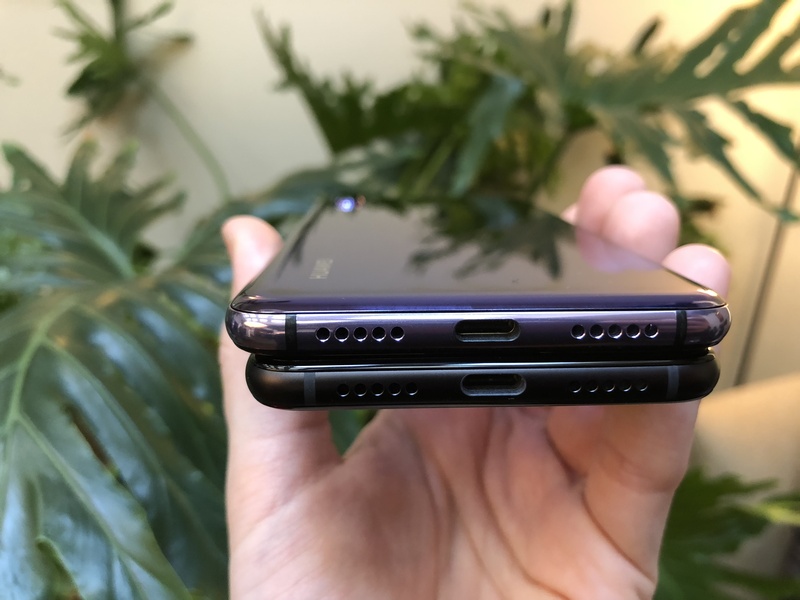 Another thing that differentiates the Huawei P20 from other Android phones, Huawei has kept the fingerprint sensor on the front, below the display. Many manufacturers have put the fingerprint sensor on the back, which works fine if you have the phone in your hand. But if the phone is on the table, you have to pick it up to unlock it — you don’t have this issue with the P20. But the real craziness is on the back of the device. The P20 Pro has three camera sensors because two cameras weren’t enough. There’s a 40 megapixels lens combined with a 20 megapixels monochrome lens and an 8 megapixels telephoto lens. All of this should help you zoom further, take portait photos and take super slow-motion videos at 960 frames per second. While that sounds like an overkill, Huawei thinks this is the best physical representation of its work when it comes to photography. The company automatically detects objects and scenes to adjust the camera settings. The selfie camera automatically enhances your skin so that you feel comfortable sharing selfies with your friends. Long exposures are automatically stabilized for those long dark winter nights. I could go on and on with Huawei’s special camera features, but it’s hard to judge if it’s actually useful without using the phone for a few days. The P20 is a bit more reasonable as it only has two rear cameras. Let’s go through some fine prints. Both devices are powered by an ARM-based Kirin 970 system-on-a-chip designed by Huawei. It runs Android 8.1 with Huawei’s EMUI custom skin. It comes with 128GB of internal storage, no microSD slot, no headphone jack and a USB Type-C port. There will be dual SIM versions of both devices. The company says that you can unlock the device with your face, but it’s nowhere near as good as Face ID. It takes a 2D photo of your face so you can easily bypass it with a photo. When you see the shiny P20, it has a distinctive look. That hasn’t always been the case with Huawei phones. The company has chosen to embrace the notch. It makes the P20 look much different from the notch-less Samsung Galaxy S9. In many ways, the P20 isn’t groundbreaking. It’s a faster, more capable smartphone. But it’s hard to keep innovating after more than a decade of smartphones. So the P20 feels like a solid Android phone. The only issue is that you won’t be able to buy the P20 in the U.S. That’s why Huawei introduced its smartphone in Paris with videos featuring Orange, Vodafone, Telefonica and Deutsche Telekom.